We have a fun color challenge for you this week. I decided to use this color combination to create a Christmas card. The colours are far from usual for a Christmas card, but that's what I love about it. I used Let it Snowflake and Let it Snowflake Too Die-namics, along with Blue Yonder, Blueberry, Pineapple, and Safety Orange card stock. 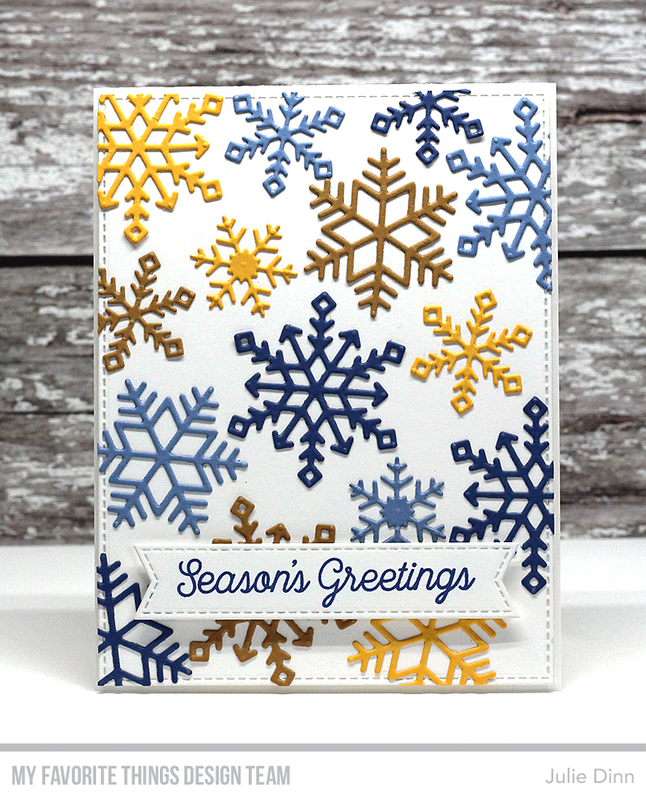 The sentiment is from the Snowfall of Blessings stamp set. I love the colors! Great design!